Capture the moment on the dual rear 20 MP + 2 MP camera with f/1.8 aperture. Be creative and add some flair to your photos with optical bokeh, while AI provides 22 categories of object and scene recognition–based optimisations that make your photos look professional. Professional AI-enhanced HDR technology allows for real-time previews of HDR images and video recordings. 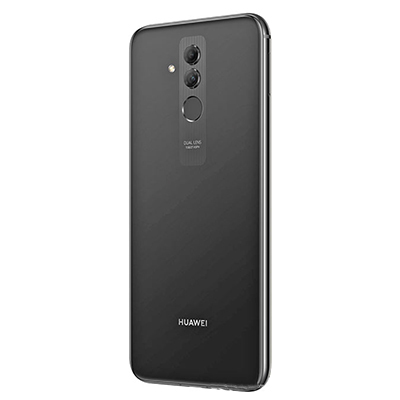 The front-facing 24 MP + 2 MP camera with realistic bokeh and Automatic AI beautification. Enjoy impressive visuals on the 6.3" FHD+ (2340 x 1080) FullView Display, immersing you in moments of magic, while the sleek symmetrical rear cover rests comfortably in the palm of your hand. Take advantage of the 12 nm Kirin 710 chipset that provides a smooth, natural system response, immersive gaming performance, and excellent power efficiency. Stay connected for longer with the long-lasting 3750 mAh battery, with HUAWEI Quick Charge helping keep you on the move. 64GB memory and 4GB Ram keeps things moving quickly and smoothly. 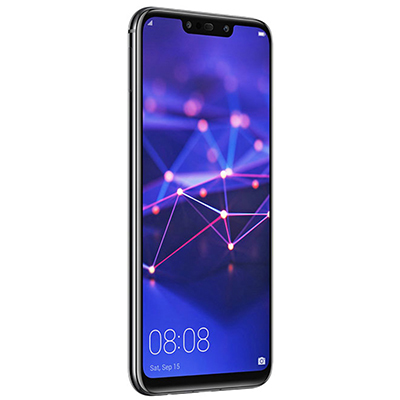 The Huawei Mate 20 Lite offers clever Adaptive AI-driven connectivity that adjusts to your environment to keep you in touch. Elevator mode quickly recovers 4G signal and optimises network performance, while HUAWEI GEO provides more accurate positioning service and improves performance even in tunnels. Use AI to entertain too; get animated with AI-powered 3D Qmojis that recognise and imitate your facial expressions, movements, and voice.